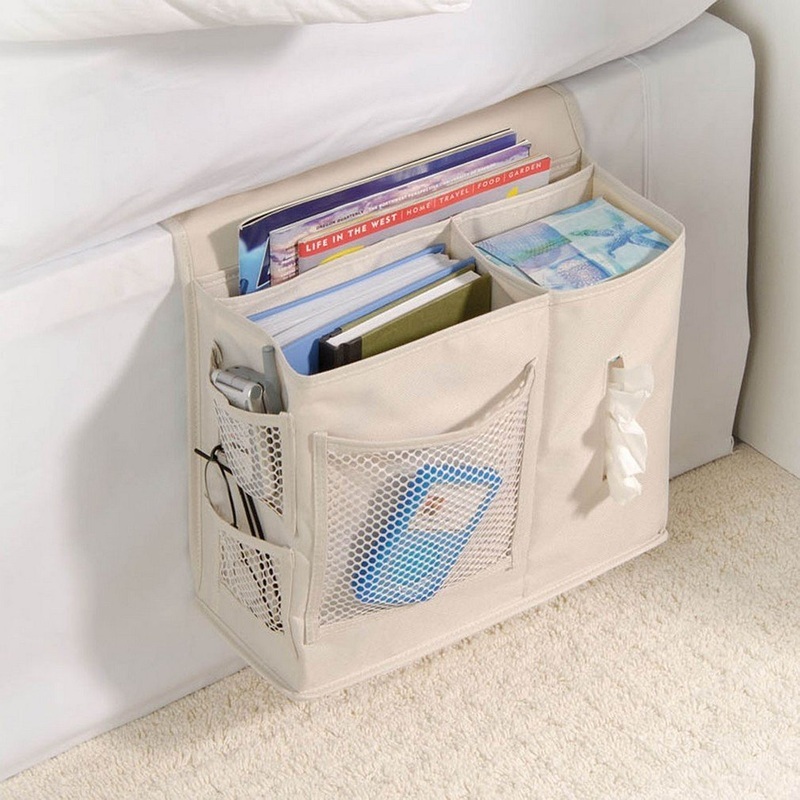 Bed Caddy Organizer - Saves Room! If you have a smaller bedroom or you just want to organize it better to utilize all the space, then using a bed caddy might be the answer. These bedside caddy organizers fit between your mattress and box spring and will hold all your magazines, books, glasses, remote for the TV and so much more. There are different styles depending on what you need to store. But what I love best about these products is that you don't really need a bedside table which can take up HUGE amounts of room. Quite often this things end up on the floor or in a pile on the side table, so maybe consider one of these if you are rolling up your sleeves and having a good clean out in that bedroom! You can see by the picture above just how much these can hold and get all these things off your side table or even worse, the floor. They simply fit between your mattress and the box spring, a great way to get your bedroom more organized! 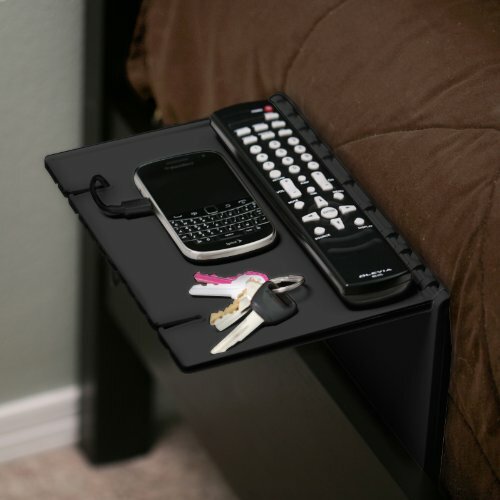 If you love the idea of beside the bed storage without having to have a side table, but want something more rigid for electronics and phone charging etc, then this bed shelf still operates the same way. It fits between your mattress and box spring and creates an instant shelf you can have anywhere on the side of your bed without taking up precious floor space. If you are downsizing or you simply have a small bedroom, then getting rid of excess furniture will help but also give you that extra surface area you want. 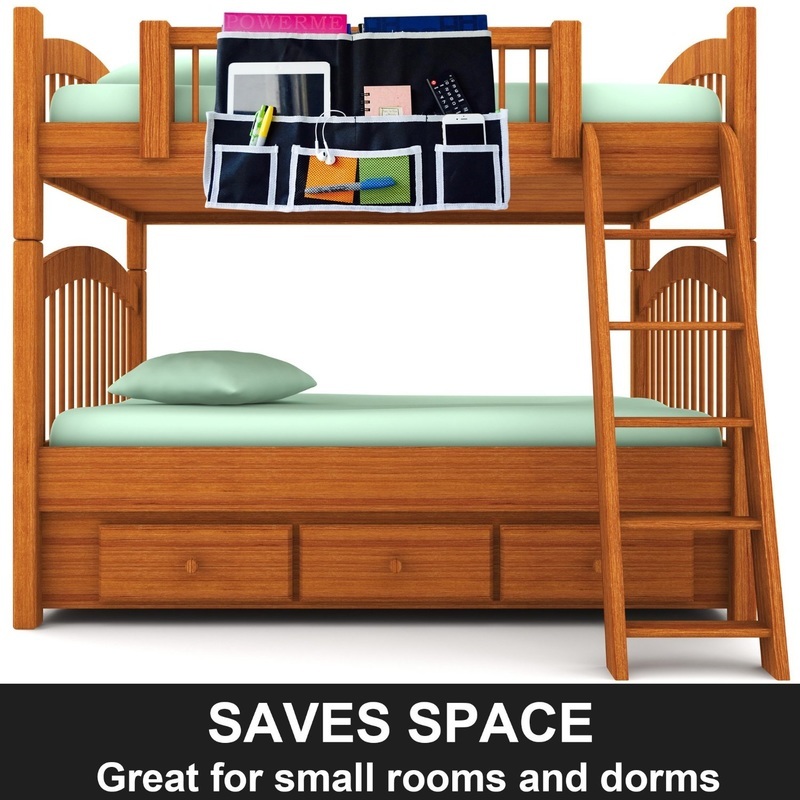 One of the biggest problems with bunk beds is storage especially for everyday things, or if you read in bed. The items tend to accumulate at the end of the beds, so having a caddy that will work with bunk beds or even on headboards will keep things organized and safe. You can also use this on a headboard if you prefer things above you. There are so many ways to use these bed caddies to help you organize your bedroom. They are an affordable option to extra furniture, and one of the easiest ways to organize. If you are trying to organize your bedroom, then you need to organize it based on your personal habits. There is no sense having storage for your glasses and books across the room if you read in bed, so you need to go through your bedtime routines so that you can organize in such a way that the room is tidy but also usable! Finding Storage for the Little Things is Key to Bedroom Organization! You can clean out that closet and under the bed and all those clothes off the floor, but if you don't have a space for all the things you use, then it will build back up again. It doesn't have to be expensive, you can find things online as above, or you can even head to the dollar store and get simple baskets to house your smaller items. Just go through the motions of your bedroom habits and create organized storage in those spots. Just because it is small doesn't mean it can't be welcoming and organized. There are so many cool products on the market now to do just that. The above bed caddies are just one way to get those things off the floor or stop them from overflowing your bedside table. Why not utilize the space between your mattress and your box spring? Something to consider! 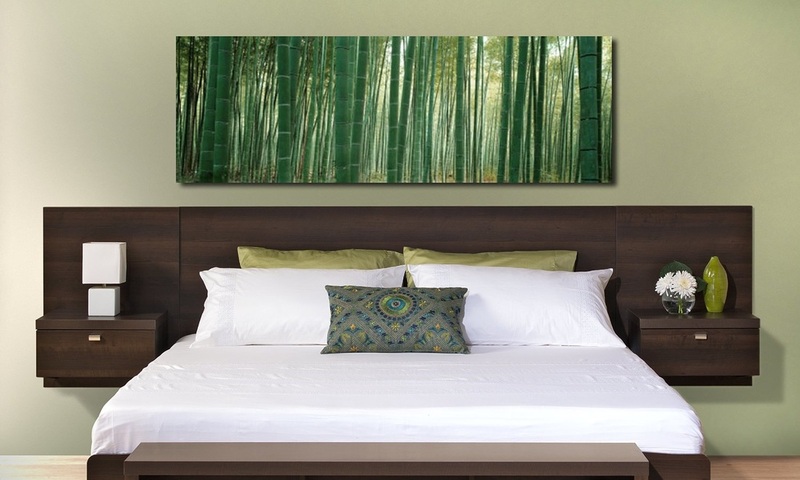 Another option that is more of an investment is a floating headboard for the bed. This is attached to the wall and still keeps the floor free. It all depends on how much room you have, but utilizing the wall space instead of the floor space works well for organizing the bedroom too!